Bradez consist of two blood brothers, the award winning Flowking Stone, one of the most arguably best rappers in Ghana, and his other half multi talented, Kunta Kinte. Bradez is the name behind the multiple award winning song “Simple” (Prod by Richie), “Wo se Sen”, One Gallon, Nana Ama, Party Hard, Run Things, Conquer The World ft Jai Amore, Flashe, Move, Yenko Yanim, Life mixtape, and other tracks that features both local and international artistes. They are known to produce good and commercial songs that always keep their fans on the dance floor. 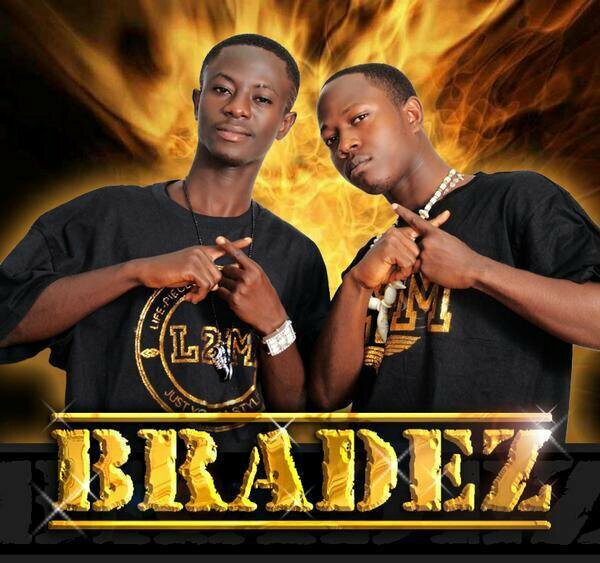 Bradez went off the scene for a while due Kunta Kinte’s illness. In other to keep their legacy and dream alive, Flowking Stone embarked on a very successful solo project. It was last year that we heard Kunta Kinte’s come – back with a song titled “Resurrection of Kunta” which features his own brother “Flowking Stone” and also “Ashes”, one with Kofi Kinaata and again with Flowking Stone with the title “I dey For You”. News reaching hitznaija.com and Richkid Empire Music is that, Flowking Stone who recently released a banging hip hop tune and video titled “Beast” is rumoured to drop another hit with his brother, Kunta Kinte and calls it “MY GIRL”. Well,we yet to find out and we will bring the track to you as soon as we get it live and coloured here.